Under Armour has launched its suite of fitness and wellness apps on Samsung's wearable devices, offering a boost to the Tizen OS. 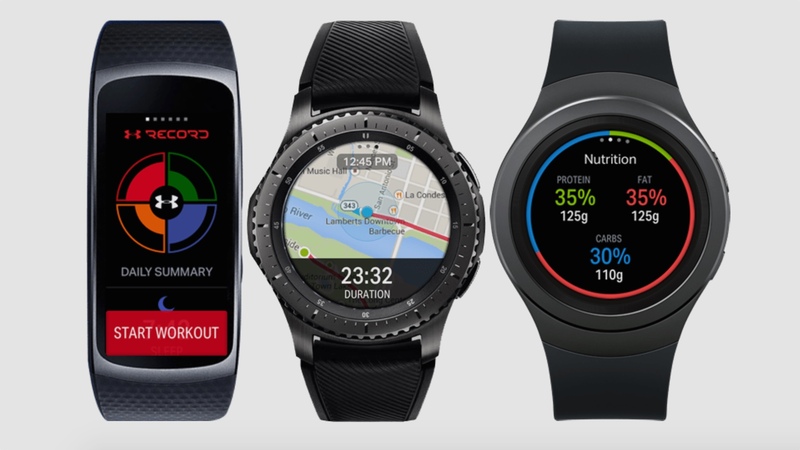 Endomondo, MyFitnessPal, MapMyRun and UA Record are now available for the Samsung Gear Fit2, Samsung Gear S2 and, of course, the big ol' Samsung Gear S3. These are more than just poor cousins to the full-factor smartphone applications as well with the new suite of Tizen apps packing in serious features that take any Apple Watch or Android Wear service, such as Strava and Nike+ Run Club to task. MyFitnessPal will enable you to see your calorie goal, calorie consumption and calories burned all on the wrist, and make quick logs of food and water intake. Food tracking is becoming increasingly popular for those looking to hit weight goals, which will make the Samsung Gear Fit2 one of the few fitness trackers capable of proper calorie monitoring. MapMyRun and Endomondo will allow for GPS run tracking without a smartphone and audio coaching mid-run too, as well as all the usual metrics captured. And if you don't fancy using S Health, you can now have all your workout and health data filtered into UA Record. We've long complained that the selection of apps on Tizen was holding back the ecosystem, and the introduction of Under Armour's suite of apps is a big coup for Samsung. Curiously, the company hasn't yet launched the same suite of features for Apple Watch to date. We'd wager that a fair bit of money hands to get them onto the Tizen platform, one that's notoriously difficult to code for. But it's a huge boost for Samsung Gear users who want to use their device to get fit.